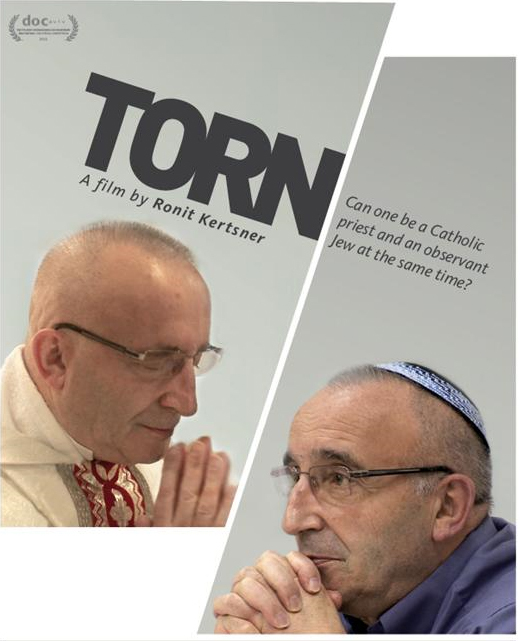 The basic question that the documentary Torn posits is: Can one be a Catholic priest and an observant Jew at the same time? Free will would dictate the possibility, but those that rule over these opposing ideologies certainly won’t allow it as is seen in the case of Polish Catholic priest Romuald Waszkinel. An indirect result of the Holocaust, Waszkinel’s Jewish birth mother abandoned him on the steps of his adoptive Polish mother’s home when he was just eight days old. After spending 67 years as a Catholic, Waszkinel, birth name is Jacob Weksler, decides to embark on the seemingly impossible task of relocating from Poland to a kibbutz in Israel in order to undergo Hebrew training and embrace his family’s heritage while remaining an observing Catholic. He is a living conflict who, as the Chief Rabbi of Poland puts it, “grew up in a Catholic home with a tremendous Jewish heart, but not knowing that heart was Jewish.” The obstacles are many, from the kibbutz’s almost comedically strict rules to the Israeli authorities’ stern refusal to grant him citizenship, but Waszkinel wades through all of the bureaucratic murk with a sense of humor and an obvious desire to be true to himself. His story is more than deserving of a documentary, especially during times when his life resembles that of a movie such as when a choir of Polish nuns bid him an emotional farewell. While the basic premise is an interesting one, the film truly succeeds in its illustration of opposing faiths and the inflexible minds that run them. 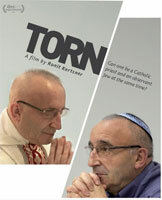 Torn screens this Sunday, March 11 at 7:00 PM at the Jack M. Barrack Hebrew Academy as part of the 16th annual Israeli Film Festival of Philadelphia.